With two locations in Calgary, Dr. Hanif Asaria and the team at Calgary Dental Centers offer customized teeth whitening using at-home trays. Teeth whitening is an effective way to transform your smile. When done under the guidance of a dental professional, it is a safe, efficient way to achieve a brighter smile. For patients who are considering whitening procedures, there are tips to maintain your newly whitened smile. Once you decide to whiten your smile, it is important to take steps to maintain it and to protect the overall health of your mouth. There are tips for whitening to ensure successful results. Have your teeth professionally cleaned prior to whitening your teeth. Plaque and tartar build up on the teeth, creating a yellowish tint on the teeth. The tartar creates a barrier making it more difficult for whitening agents to break through and be effective. A professional cleaning by your dental hygienist removes tartar and cleans hard-to-reach areas. The whitening agent is more easily absorbed by clean teeth ensuring a more effective treatment. Choose professional whitening methods. Customized teeth whitening trays provided by Calgary Dental Centers achieve safe, effective results. Patients achieve dramatically whiter smiles. Avoid food, drinks, and products that stain and discolor the teeth. Coffee, tea, red wine, tomato sauce, and tobacco products are known to cause teeth staining. Teeth whitening treatments may make your teeth susceptible to new stains. Try to avoid, or at least minimize, the use of these products during the whitening period and for a few days after you finish using your home-based treatment. Use a straw to drink dark-colored liquids. This keeps the product off your teeth and minimizes the time it sits in your mouth. Rinse your teeth after eating or drinking. This helps maintain your smile. Maintain a good oral health regimen. Regular brushing and flossing remove stains, bacteria, and food particles to not only keep your teeth healthy but also to keep your smile bright. Do maintenance whitening treatments. It takes work to preserve a white smile. Touch up treatments may be needed depending on how much your diet and lifestyle habits cause staining. 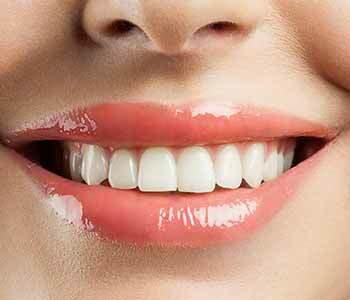 Teeth whitening is a popular cosmetic dentistry service to dramatically enhance your smile. Once you have made the decision to whiten your teeth, you have taken a step toward a healthier smile. White teeth are not automatically healthy. Having your teeth professionally cleaned first gives your dentist a chance to assess your teeth for problems or issues that may interfere with the whitening process. Any problems that arise can be addressed to preserve the health of your mouth. Teeth whitening is safe and effective when performed under the guidance of your dental team. The whitening agent used produces dramatic results. At Calgary Dental Centers, we offer customized at-home whitening trays. The trays are individually created using impressions of your teeth. This ensures the trays fit comfortably to avoid slipping, which could allow the gel to travel and cause patient sensitivity. This means the teeth are whitened and gel stays off the gums. This results in effective whitening and patient comfort throughout the process. Whitening trays offer patients the convenience and privacy to whiten on their own time. Patients may whiten at home while watching a movie. Patients are given professional-grade whitening gel to achieve dramatic results. The gel is placed in the custom trays and placed snugly in the mouth. Trays are worn as directed by your dentist, usually for about an hour a day for a couple weeks until the desired shade is achieved. Periodic treatments maintain your newly brightened smile. 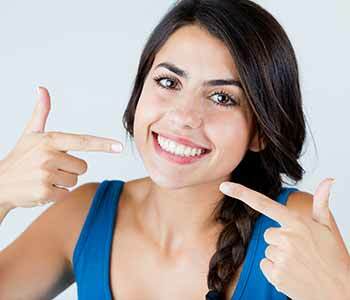 Professional customized teeth whitening products offer high quality, effective whitening results. Maintain the health and brightness of your smile with a good oral health regimen and precise care to remove unwanted stains. If you live near Calgary and are ready to improve the appearance of your smile, contact Calgary’s Dental Care at (403) 768-1339 or the 17th Avenue Dental Center at (403) 768-1343 .